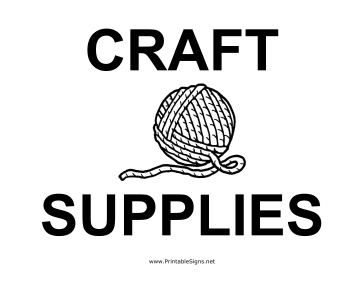 Selling your old craft supplies? Use this sign to help direct people to your stash. This sign features bold lettering and yarn.